This thread is giving false information. Discrediting this entire site. Curb weight, 0-60, 1/4 mile time & the Top Speed are all information on the base 1ZZ-FE GT motor. 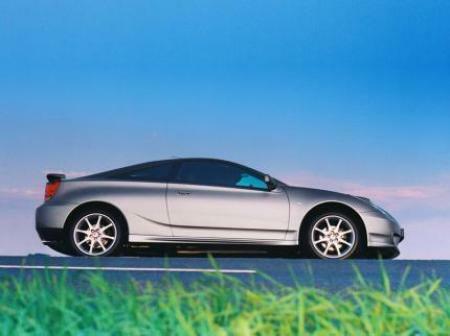 The Celica TS is a brilliant car! It's so much fun to drive and more than capable as a daily vehicle. It's also much cheaper than it's competitors. Get one and have some fun! OK, I am sorry, I thought you meant that. Curb weight is without a driver but with the above fluids and a full tank of fuel. Leergewicht is with all fluids (fuel tank also full) and +75kg to simulate driver. Is not "an empty car without a driver" the dry weight? Georg, please get your facts straight, the german "Leergewicht" is NOT the curb weight. Leergewicht is measured by DIN 70020 norm which means an additional 75kg is added to simulate the driver. The english curb weight refers to an empty car without a driver, so it should be 1140 kg. @ Fabio Celica: Those modifications probably gave your Celica between 20 and 50 more horsepower. A stock Celica TS is much faster respect the data's factory. I have to say - GT 86 is exactly the successor to the Celica, so IMO, it's still with us. But I wish it could be in the same league as Impereza STI / Lancer Evo / 370Z are. So Toyota/Subaru really should create a kinda like GTS 86/BRZ STI competitive sportcars with the power up to 300 horses. Supra is an another story. Yeah, it really should be reborned. Though, it may look superstitious and funny, but Lexus LFA seems to me as a highly performance, modernest tech alternative to the Supra, LOL. I hope Toyota is going to create the successor to the LFA, cause they've already built all planed 500 units. Excellent car the Celica. I remember them well from SCCA Solo II competition. When the Celica came out the SCCA classed it against the then dominant Neon ACR. All of a sudden my Neon ACR was no longer the quickest on the track. The Celica was definitely a bit quicker than the Neon ACR, yet far more civilized than the factory race prepped Neon. I had a heck of a time trying to win after these Celicas started showing up. They need to bring back the Celica, this time make it a performance model on par with the 370Z and WRX STi. Along with the damned Supra already and MRS, hurry the hell up Toyota! @ BEN: I agree, the Celica is one of the all time greats, I once considered getting one. Car with excellent value. low consumption, leightweight. Perfect for young people with sporty drive style.